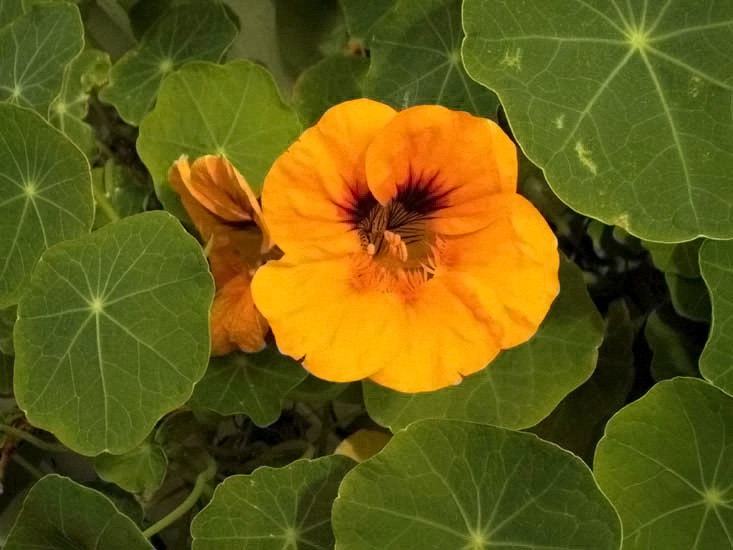 So we’ve covered how people mimic nature to come up with new design and technology ideas, but did you know that nature mimics nature too? 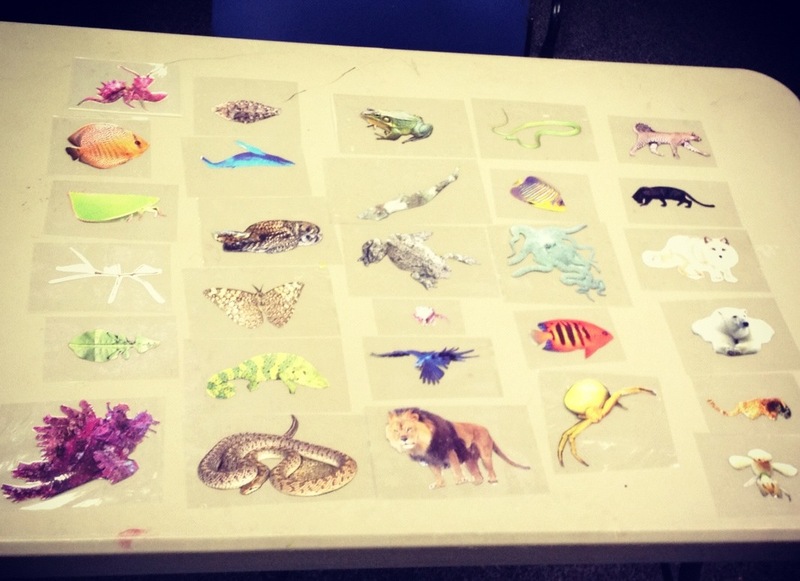 This week at The Brooklyn Children’s Museum, we taught a class called “Mimicry, Schmimicry!” where kids got to see and even touch the best mimics of the animal kingdom. 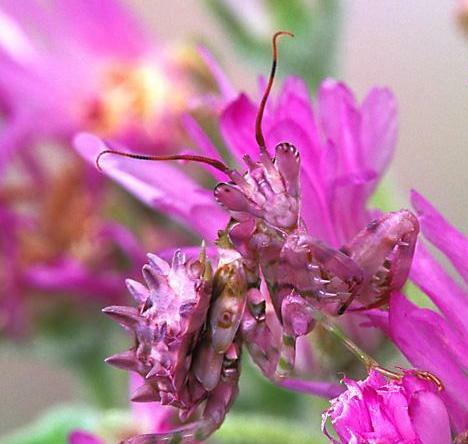 We’ve met leaf and stick bugs before, but take a look at these other amazing and exotic plant mimics. We created a game where each student had to match a mimic master to a picture of that animal’s habitat. 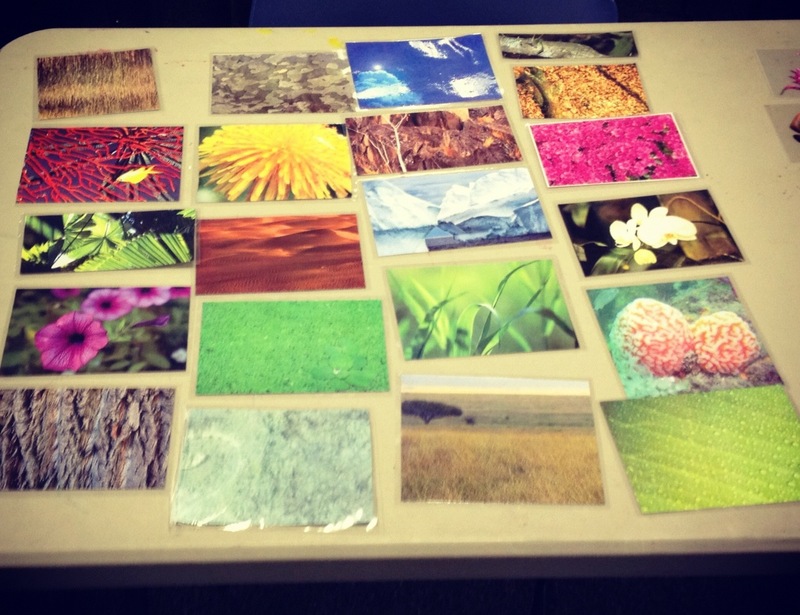 We found a laminated pictures of 25 different camouflaging creatures and put their habitat on cards in the front of the classroom. The students took turns finding their animal’s habitat. When the match was made, they squinted their eyes and watched the animal disappear! 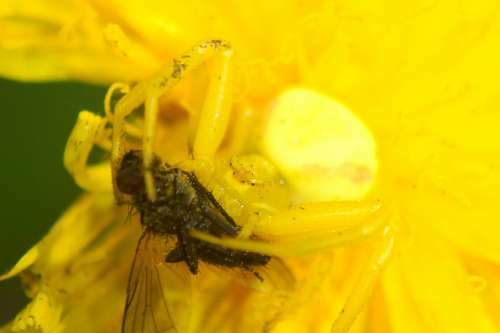 The grossest mimic award goes to the gag-inducing Bird-Dropping Spider. This spider’s body is covered in a milky white fuzz that makes it blend into its favorite snack, bird poo! More surprising than these masters of camouflage are the creatures with tame defenses that have evolved to mimic the most deadly animals in their environment. 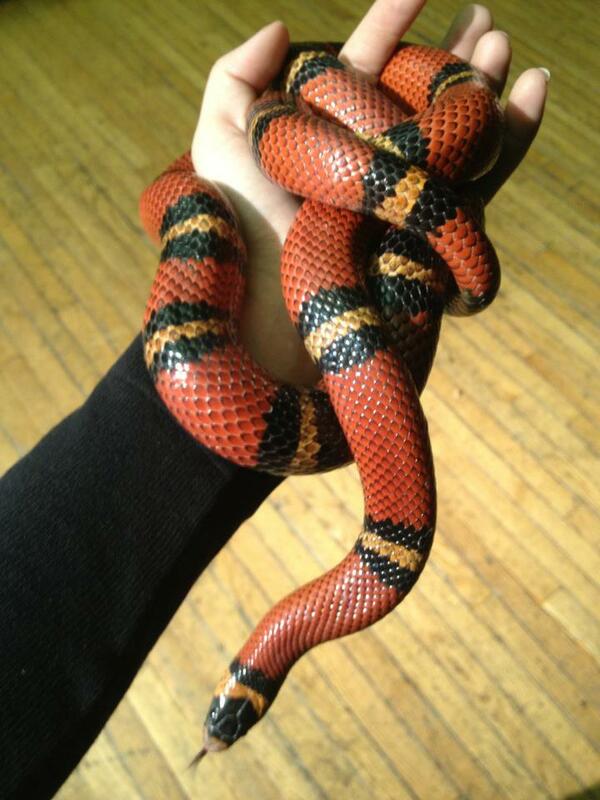 Our Honduran milk snake Slimy keeps away predators with his brightly colored red and yellow scales. 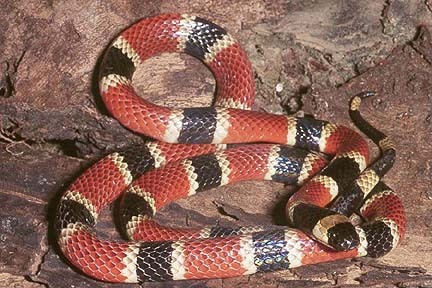 Though he’s completely harmless, he mimics the same pattern of the fatally poisonous coral snake. Predators avoid the risk of getting a mouthful of poison with their lunch. Can you see the subtle difference in their patterns? Can you pick out the real bee from these three pictures? Trick question! All three are flies that mimic bees to stay safe from predators. I had the students in our public program think of the scariest animals of the ocean, desert, and jungle and do their best to scare me with their mimicry skills. I was extremely amused by the kids renditions of a shark (teeth and claws! ), rattlesnake, (teeth and tail! ), and lion (teeth and claws!). 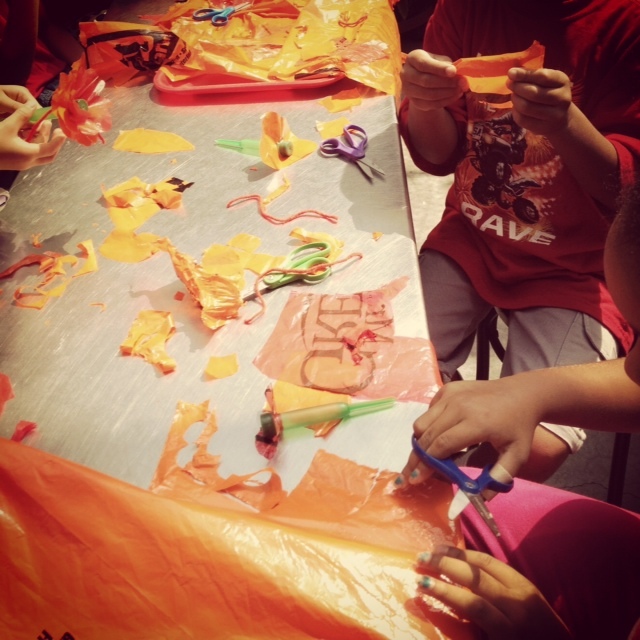 Next the kids practiced their mimicry talents by crafting a mask that would either help them blend into a specific environment or scare off predators. If you try this in your classroom, you can even have students go on a nature walk to collect fallen leaves and sticks for their masks! We’ll be teaching this program again on September 22nd. 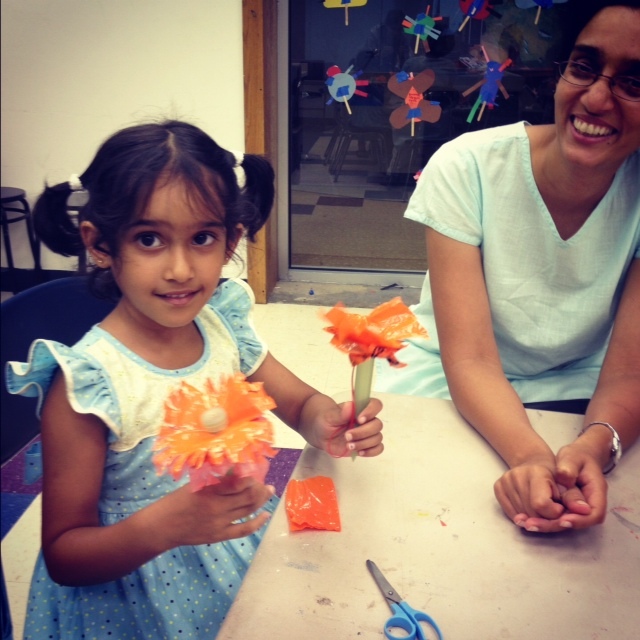 Check back for some updated pictures from the program! 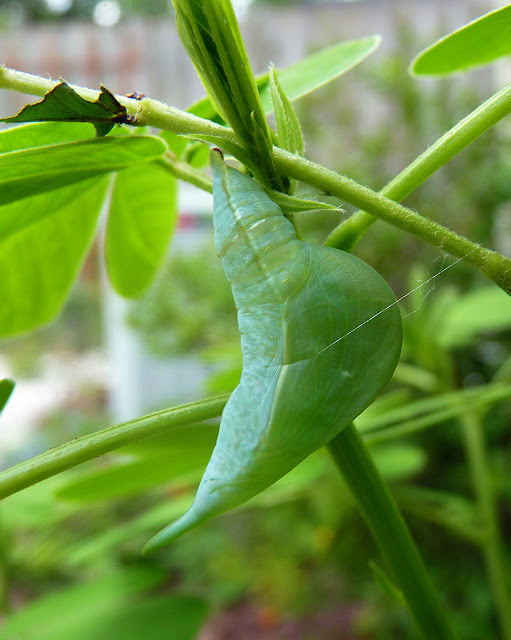 Despite what “The Very Hungry Caterpillar” would have you believe, the chrysalis of a caterpillar is not a structure that the bug spins or builds around itself. The chrysalis actually forms under the caterpillar’s skin and is revealed during its last shed! Take a look at this eerie transformation; the skin of the caterpillar splits and unzips revealing the hard, smooth skin of the chrysalis underneath. 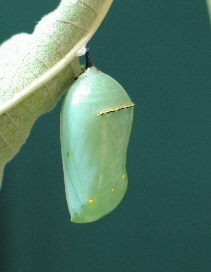 Before the chrysalis even emerges, the first parts of the butterfly’s wings are already beginning to develop under the caterpillar’s skin. In the next week, most of the caterpillar’s body will literally dissolve and form back into the anatomy of a butterfly. 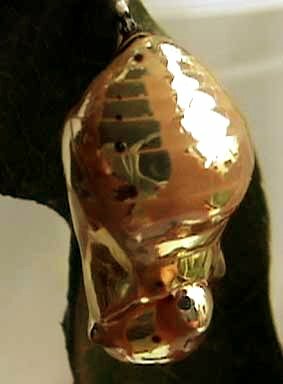 The word “chrysalis” is derived from the Greek word chrysós meaning gold. The beautiful gold dots surrounding this Monarch Butterfly chrysalis mark points where air enters the casing, but it’s the common crow butterfly’s metallic chrysalis that really lives up to the name! 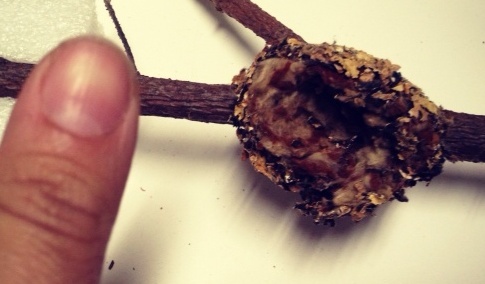 Check out the leaf-mimic chrysalis of the orange barred sulfur caterpillar. Camouflage serves as a vital defense in this most vulnerable stage of metamorphosis, though some pupas can even twitch, vibrating their entire chrysalis to scare away pestering predators. If you want your students to experience the life cycle of a butterfly first hand, you can order these kits that come complete with larvae and all the supplies you need to get them to their pupal- or chrysalis- stage. 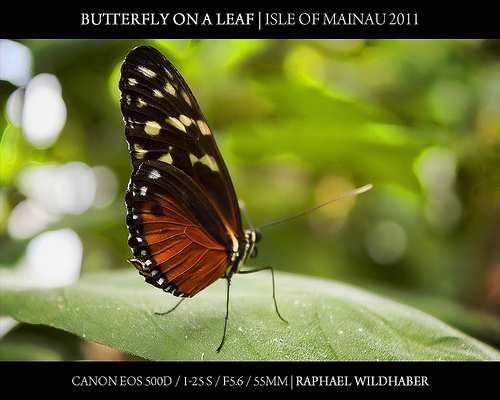 Butterflies are endlessly fascinating. When we looked closely at butterflies last week, the kids took note of the delicate and transparent structure of their wings. Butterfly wings are made up of thin layers of a protein called chitin – the same stuff in insect exoskeletons, snake skins, and human fingernails! When a butterfly emerges from its cocoon, its wings are wet and crumpled. The bug hangs upside down and pumps blood into the lattice of veins that run through those thin chitin layers. 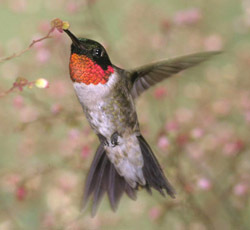 After their wings fully extend, they must wait for them to dry completely before flying. Because their wings are so fragile, butterflies can even sense a drop in air pressure, warning them that a storm is approaching. They take shelter to prevent their wings from being weighed down by relatively heavy rain drops. If they do get wet, they’ll have to bask in the sun before they can fly. Did you know butterflies taste with their feet? 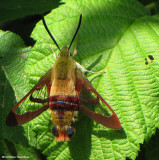 They also collect nectar with a long tube-like proboscis that they have to assemble when they emerge from their cocoon. 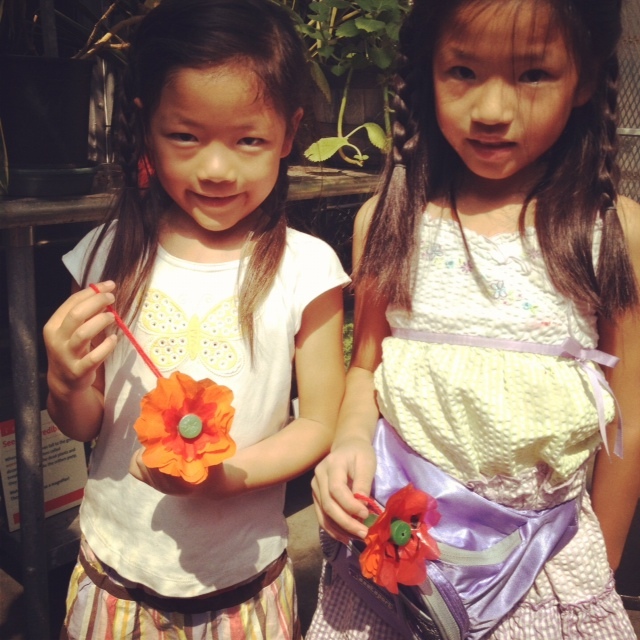 It starts out in two parts with tiny hooks and fringes that they have to work together to form one long straw! A great way to attract butterflies to your school garden for observation is to plant a butterfly garden. 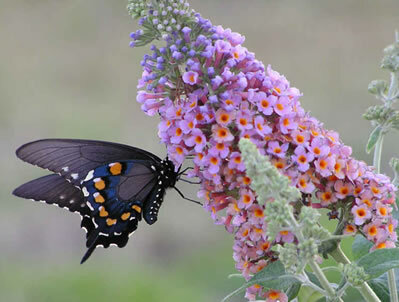 Butterfly bushes, with their bright purple flowers, grow and spread around easily. 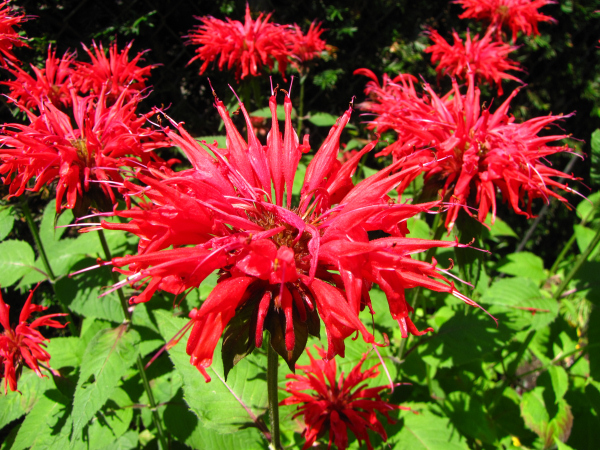 You can also find butterfly garden seed mixes full of perennial, brightly colored flowers with nice flat petals for these nectar fiends to land on.